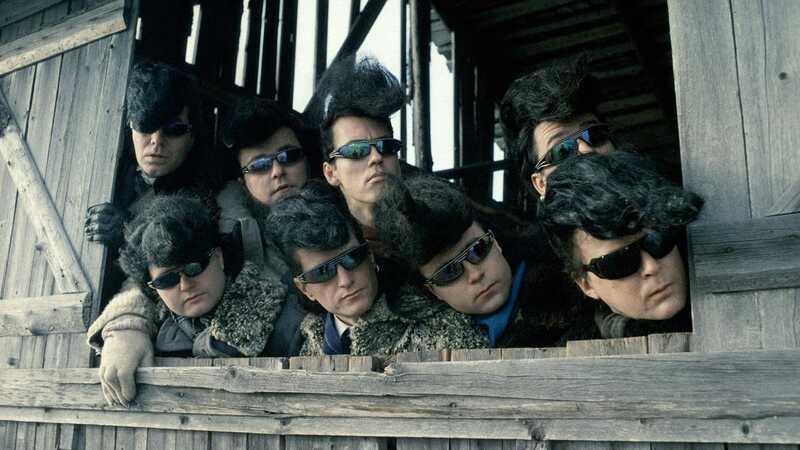 In the late eighties, Aki Kaurismäki, a master of the deadpan, fashioned a waggish fish-out-of-water tale about a U.S. tour by “the worst rock-and-roll band in the world.” Leningrad Cowboys Go America’s posse of fur-coated, outrageously pompadoured hipsters struck such a chord with international audiences that the fictional band became a genuine attraction, touring the world. 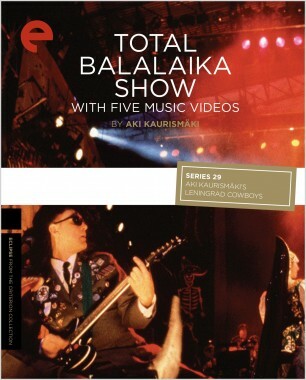 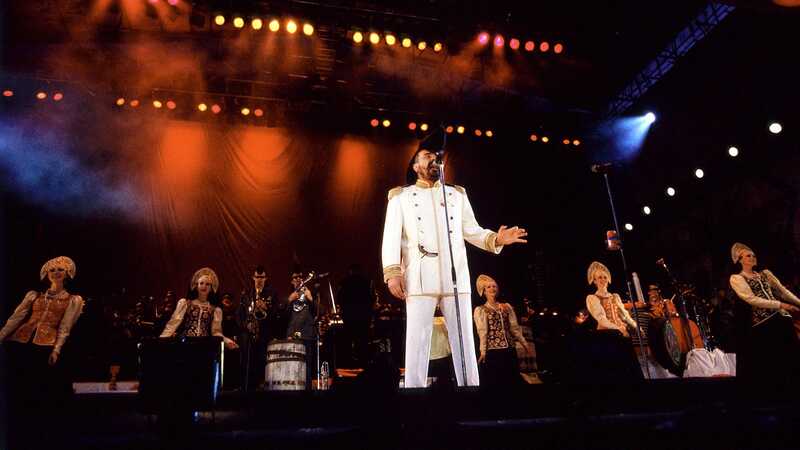 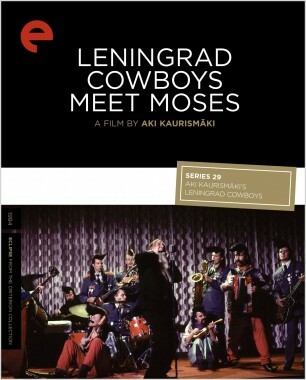 Later, Kaurismäki created a sequel, Leningrad Cowboys Meet Moses, and filmed a gigantic outdoor concert that the band put on in Helsinki, for the rollicking documentary Total Balalaika Show. 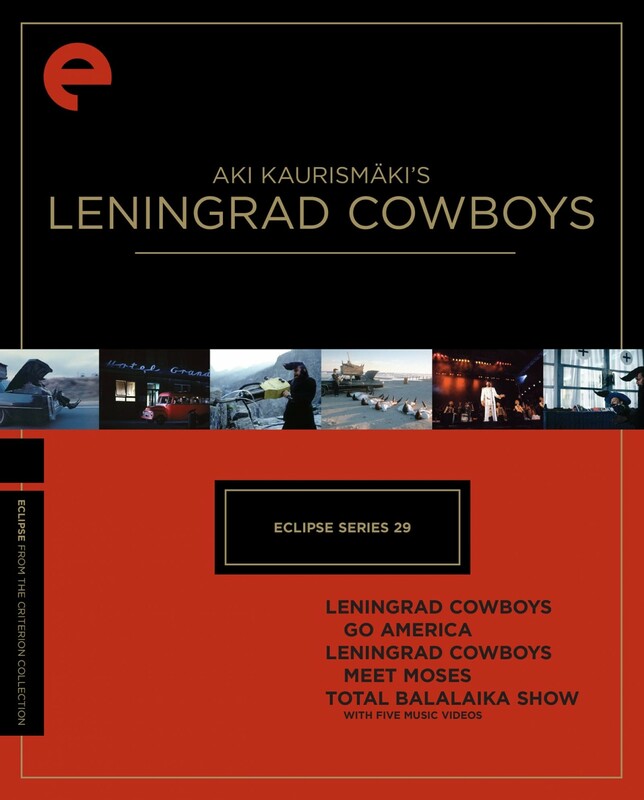 With this Eclipse series, we present all three crackpot musical and comic odysseys, along with five Leningrad Cowboys music videos also directed by Kaurismäki. 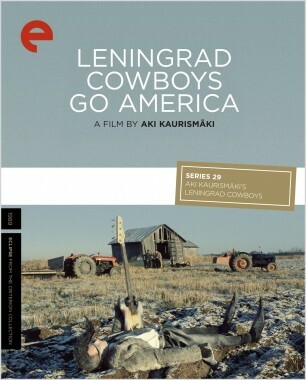 A struggling Siberian rock band leaves the lonely tundra to tour the United States because, as they’re told, “they’ll buy anything there.” Aki Kaurismäki’s winningly aloof farce follows the musicians as they bravely make their way across the New World, carrying a bandmate (and some beer) in a coffin and sporting hairdos that resemble unicorn horns. 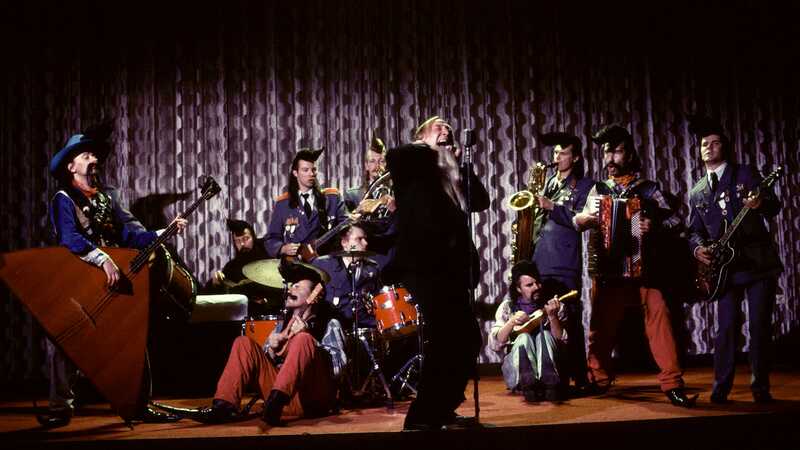 Leningrad Cowboys Go America was such a sensation that it brought the fictional band a major real-life following.